In this blog we shall learn a string function called REPLACE. We shall use REPLACE function in Select as well as Update statements with examples to understand it better. 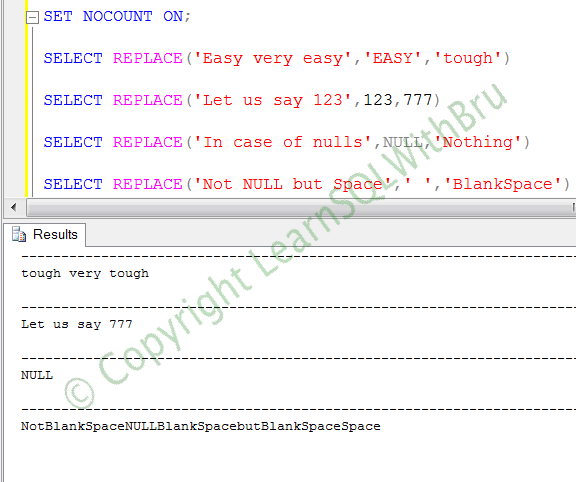 We shall start with a basic Select statement using Replace function to understand what it does. In simple terms, a REPLACE function takes in a string as first parameter and then accepts a pattern as 2nd parameter, searches for that pattern in the first parameter and replaces with what is passed in the 3rd parameter. Note: I ran all queries at once and captured the output, in order to post the results as a single screenshot. See that 123 was not surrounded by single quotes as ‘123’, but still the function converts it to string value 123. Note, this does not mean that you pass the values without single quotes. Finally, lets look at what happens when you pass a single space as search pattern. 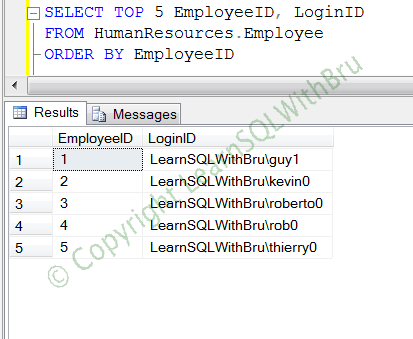 Next, let us look at how to use REPLACE function when performing an update to a table data. 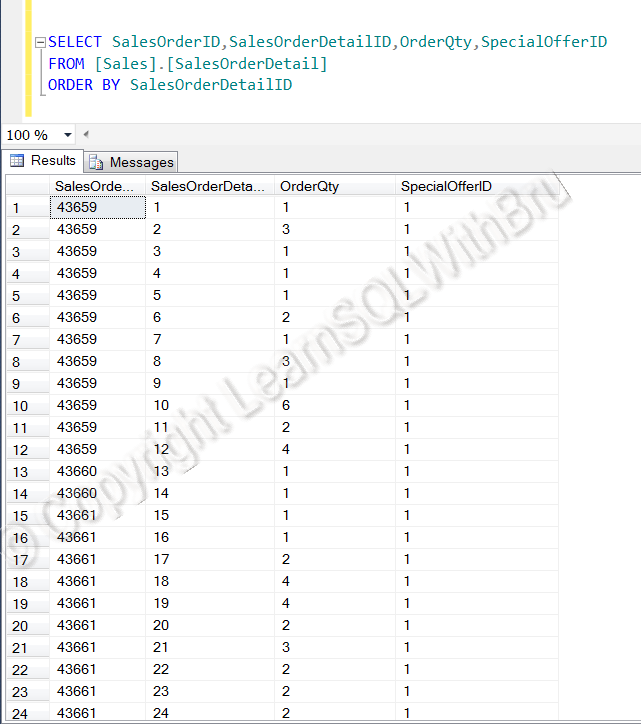 Before we update table data, first let us run this query to see how the data looks like. 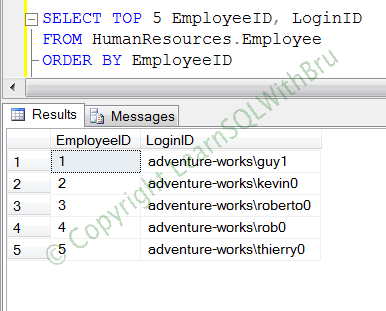 The below is the screenshot when the above query is run..
Now, I would like to replace the value “adventure-works” with “LearnSQLWthBru” in all the rows of the table. So we use Replace function in the “set columnname = expression” in the Update statement, as shown below…. 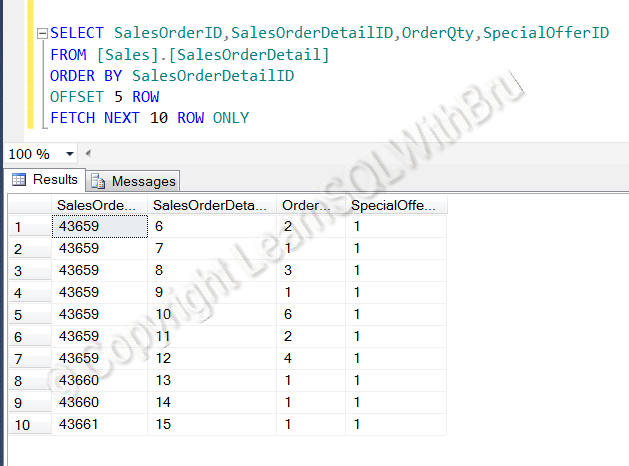 After running this query, re-run the initial select query against the table to see how the data looks after the update.. The pic displayed below is how it looks.. Suggestion: When performing an update against a table, it is a better to run a select statement and include the where clause (to be used in Update statement) to make sure you are going to update as many records as it returns in the select statement..